The Museum collection was formally created when the Vancouver Holocaust Education Centre Society opened the VHEC in 1994, and it has continued to grow ever since. 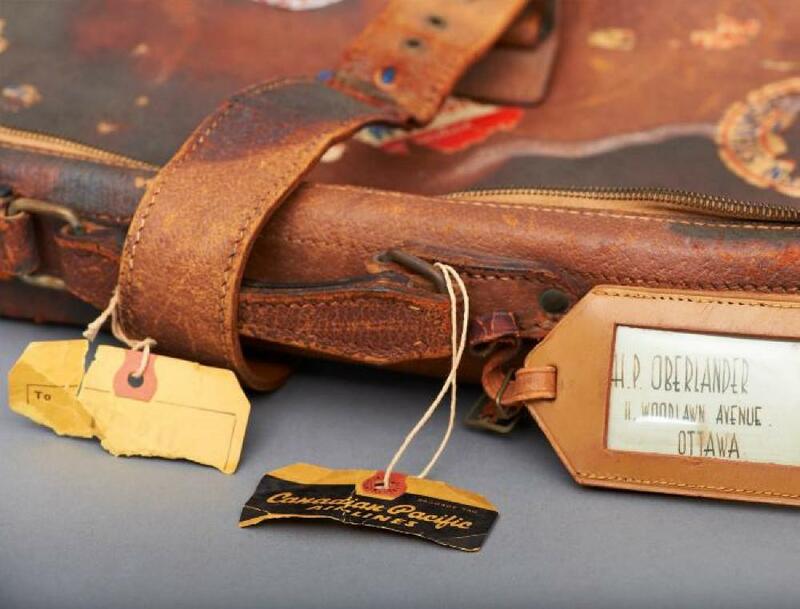 Survivors and their families have donated personal items, which are accessible to researchers and students along with gifts from private collectors, military veterans, community members and academics. Each item carries a unique Holocaust perspective. Visitors are invited to explore related testimonies, archival records and library resources for an enriched experience. Each Museum object is described and recorded individually with attention paid to its physical description, circumstances of creation and identifying features. Objects from the Museum are displayed in exhibitions at the VHEC, travel to other institutions and are used in educational resources. As a result, donated materials often have thematic ties to specific exhibitions. While much of the Museum collection contains personal items from daily life, users may encounter symbols, insignia, militaria, propaganda and other graphic content pertaining to Nazism, racism and genocide that may be upsetting or triggering. Please allow time for reflection and take breaks when needed. The VHEC Museum collection is open by appointment Monday through Friday. Researchers may book an appointment in advance of their visit by phoning 604-264-0499 or emailing collections@vhec.org. WHAT'S THE DIFFERENCE BETWEEN THE MUSEUM COLLECTION AND THE ARCHIVES? The major difference between the Museum collection and the Archives is the way that information is organized. In the Museum collection, each object is treated individually and described as a single unit. In the Archives, materials are arranged and described in aggregates of records organized hierarchically to ensure context between records is maintained. Three-dimensional objects or artworks may be part of an archival collection or fonds depending on how the material was collected and maintained by the creator and/or donor and how the VHEC acquired the material. The VHEC Collections catalogue is designed to highlight relationships between materials in the collection regardless of which department stewards the material. Users are encouraged to browse across collections and related holdings to discover more about each item in the catalogue. Learn more about the VHEC's Archives.